If you have a viable business plan and want to tap into of one of the safest, most affluent and fastest growing markets in the world, Abu Dhabi is the right place to establish your presence. Whether you are planning to set up a new business in the Emirate or open a branch for a company based outside the country, the procedures are transparent and flexible and it takes only a few days to complete them if you fulfil all the requirements of the relevant authorities. To start a business in Abu Dhabi, the legal and practical requirements should be understood early to reduce risks and prepare for an efficient settlement process. You must also get an overview of relevant laws, procedures and of course, a knowledge of the local culture. Undertaking all types of business activities in Abu Dhabi is regulated by trade licences according to Law No. (5) of 1998 regarding the issuance of licences in the Emirate of Abu Dhabi. The law stipulates that neither an ordinary person nor a legal entity is permitted to engage in any activity or branch of activity included in the licence categories without obtaining a relevant licence from the concerned authority and fulfilling the requirements of laws applicable to the practice of a specific activity. The licences issued by the competent authorities within the Emirate of Abu Dhabi include Agricultural, Fisheries & Livestock Licences, Industrial Licences, Commercial Licences, Professional Licences and Vocational Licences. Law No. (7) of 1998 requires that all nationals and foreigners, engaged in any commercial, industrial, professional or vocational activity within Abu Dhabi Emirate, whether they are individuals, companies or branches, should join Abu Dhabi Chamber of Commerce and Industry and obtain its membership as a prerequisite to acquire a trade licence. Under the Commercial Companies Law No. (8) of 1984, expatriates can undertake a business activity only if they have a UAE national partner or partners who will hold not less than 51 percent of the company ownership. However, special free zones where foreigners can have full ownership of their businesses are exempt from this rule. The law also permits foreign companies to open branches or offices in the country provided that the branch or office appoints a UAE national services agent. If the agent is a company, all of its partners must be UAE nationals. The agent is responsible for facilitating licences for the branch or office without contributing to its capital or management or bearing any losses or financial obligations thereof. Foreign companies which do not wish to have a direct presence in the country or obtain a licence can sell their products or services in the country by appointing a commercial agent in accordance with Law No. (18) of 1981 and its amendments in Law No. (14) of 1998 regulating commercial agencies. The agent may sell or distribute the products or services of the company within the designated area by the virtue of an agreement that will be registered at the Ministry of Economy. 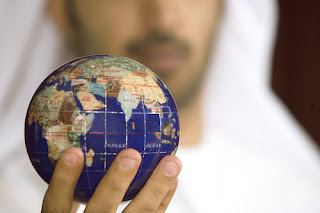 Foreign companies can appoint a single agent to cover the entire UAE or an agent for each Emirate. Article 5 of the Commercial Companies Law No. (8) of 1984 specifies the legal forms of companies as General Partnership, Limited Liability Company, Simple Limited Partnership, Joint Participation (“Venture”), Public Joint Stock Company, Private Joint Stock Company, and Partnership Limited with Shares. The initial step to start a business in Abu Dhabi is to reserve and get approval for the desired trade name from the Department of Economic Development (DED). Once the trade name is approved, you can approach the Licensing Committee at one of the Abu Dhabi Emirate Municipalities (Abu Dhabi City, Al Ain City, or the Western Region Municipality), which will review your application and supporting documents including details of the partners and capital and inform you whether your application requires approval of a competent agency. In case of opening a branch of a foreign company, you will have to submit an application and all required documents to the Ministry of Economy upon getting approval of the competent agency, and the ministry will present it to the Executive Council in Abu Dhabi for approval. To know more about opening a foreign company branch in Abu Dhabi, you can read the article "Opening a Branch of a Foreign Company in Abu Dhabi". Following the approval by the competent agency and the Municipality, your application will be referred by the Municipality to the Abu Dhabi Chamber of Commerce and Industry (ADCCI) for approval and issuance of a Chamber Membership Certificate which is mandatory for obtaining a trade licence. After the issuance of the Chamber Membership Certificate, a field visit will be made to the premises of your company to ensure that all terms and conditions in relation to advertising, safety and health requirements are met in line with the rules and regulations of the Municipality. Upon the fulfilment of these requirements, you can apply for the registration of your company in the Commercial Registration and Municipality Licence Section which will entitle you to get the commercial license from DED. You can then approach the Abu Dhabi Naturalization & Residency Directorate (ADNRD) for a Facility Card and the Ministry of Labour for a Company Card. The next step is to apply for work permits for your employees at the Abu Dhabi Naturalization & Residency Directorate. If you are intending to open a commercial company, the Municipality will refer your application to the Ministry of Economy after obtaining the Chamber Membership Certificate and you will have to complete the procedures of the Ministry. Some specialised businesses will be required to register with relevant government agencies including the UAE Central Bank for financial and banking institutions, Ministry of Economy for insurance companies, Ministry of Finance for manufacturing companies and the Ministry of Health for pharmaceutical companies.